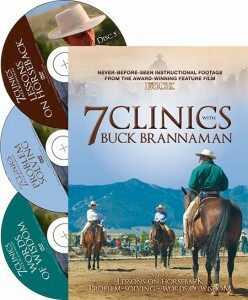 Trafalgar Square Books, our distributor, is now accepting pre-orders of 7 CLINICS with BUCK BRANNAMAN. Shipping September 17, 2012. See below for details. From DISC 3. 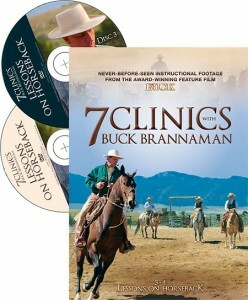 It is Buck’s Introduction piece where he talks about the Release technique. 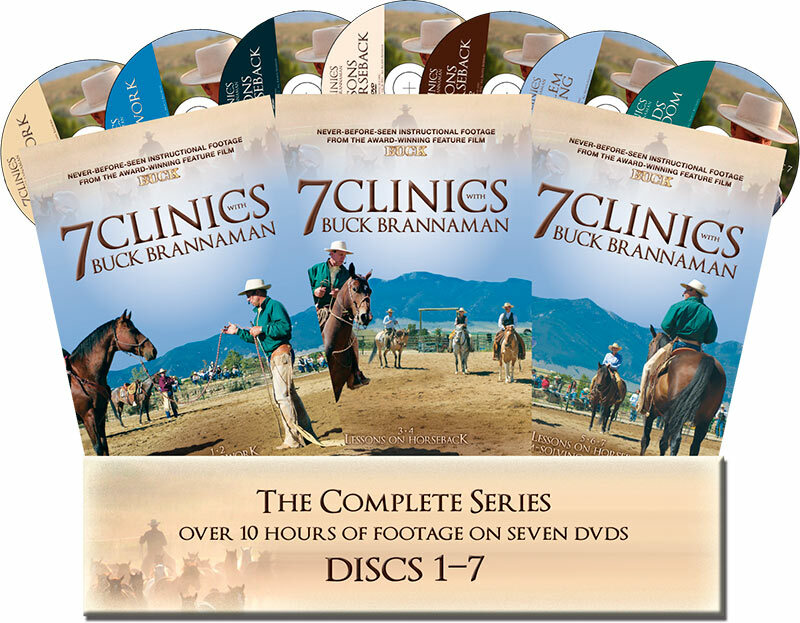 Director Cindy Meehl talks about 7 CLINICS and why she made the series. 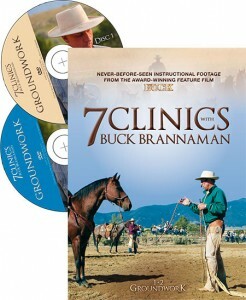 Author: Cindy Meehl and Cedar Creek Productions, LLCFormat: DVDs, run time 152 mins. 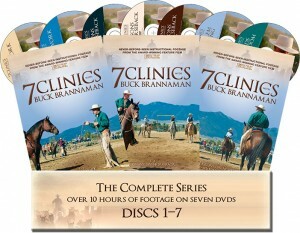 Author: Cindy Meehl and Cedar Creek Productions, LLCFormat: 2 DVDs, total run time 195 mins.